Canada offers a highly supportive culture for entrepreneurship. Successful entrepreneurs enjoy a high status and the Canadian media are seen to report fully on entrepreneurship. The conviction that there is opportunity and that the skills and knowledge required are widely distributed leads to a low rate of Canadians inhibited by fear of failure. In this climate, the total early-stage entrepreneurial activity (TEA) rate has grown in recent years – from 12.2% in 2013 to 14.7% in 2015 (among its provinces, Alberta has the highest TEA rate – in 2014 it was over 18%). In addition, opportunity-driven entrepreneurial activity leads necessity-driven activity by a ratio of 4 to 1. 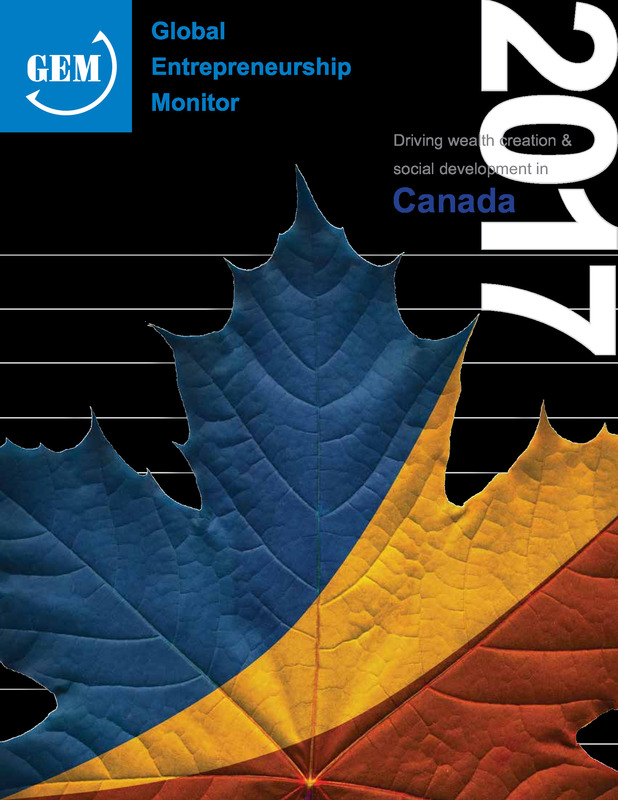 In this respect Canada compares favourably to other innovation-driven economies, such as the UK, US and Australia. The country, however, needs to improve its capacity to transfer knowledge from research and development to small and growing firms, and attend to entrepreneurship in the education system. The Alberta provincial government in Canada offers technology vouchers and support to small growing technology firms, through its Alberta Innovates Technology Futures (AITF) programme, set up in 2010. The programme offers vouchers to help fund technology interventions for small businesses. These come in two forms. One is a micro-voucher up to the value of 10,000 Canadian dollars (US$7,700), while another funds support of between 10,000 and 100,000 Canadian dollars. AITF pays the voucher directly to the service or product provider named in the application. In addition, the Product Demonstration Programme funds technologies interventions valued at between 100,001 and 300,000 Canadian dollars. All three offerings operate on an open call basis, meaning applications are accepted and reviewed continuously, with applicants informed of the outcome of their applications within six to eight weeks after receipt of the application. The micro-voucher is designed to support technologies in the early developmental stages and covers support from one service provider. Funds are to cover market assessments, industry development, corporate training, conferences, intellectual property assessment and acquisition of materials and equipment. The 100 000 Canadian dollar voucher is designed to support technologies mainly in the mid-to-late developmental stages and to fund up to three service providers to advance the technology closer to commercialisation. Funds are to cover new product research and development, engineering and prototype development, product testing, patent development and other technology development activities. The Product Demonstration Programme is designed to support technologies in the more advanced stages of development. It is aimed at funding three project partners for the purpose of showcasing the performance, method and features of a prototype in the market or validating its economic and technical feasibility. In January 2016 the government announced that it was boosting support for high-tech innovation and research, with 5 million Canadian dollars in additional funding through the enhanced innovation voucher and small and medium-sized enterprises support programme. The programme helps small technology-based businesses access services such as marketing, planning, feasibility or business formation, as well as accelerated technology and product development activities. The AITF has five product development advisors located across Alberta, but in 2016 this is set to rise to 10. The Alberta government also offers Connectica, an online service connecting innovators to service providers and funding options. In the 2014/15 financial year the programme helped create 555 jobs, up from 414 the previous financial year. In a client survey carried in the AITF’s 2014/2015 annual report, 82% of those assisted by the programme said they were “very satisfied” or “extremely satisfied” with the programme. In addition, 90% said the programme had proved “very helpful” or “extremely helpful”. In all 65% of participants in the programme reported that they had developed new products or enhanced existing products or processes with the funding. However, only 55% said the programme was enough to service their requirements. In the 2014/15 year a number of changes were initiated within AITF’s commercialisation programmes to enhance service to SMEs. These include refocusing services around mentorship as well as operational and strategic guidance by leveraging technology development advisors and programme associates as key contacts in addition to providing funding. A decision was taken to carry out periodic programme reviews under the continuous improvement umbrella and to move from a quarterly call to an open call approach, allowing ongoing submission for funding and other support. An online submission tool was also introduced to streamline applications. Links have been added to its supply chain resources to support connectivity between customers and suppliers and accelerator pilots and inter-jurisdictional programmes have been implemented to enhance and accelerate commercialisation. In 2016, in response to the low oil price, the Alberta government announced that it was considering merging Alberta Innovates Technology Futures and three other programmes into one organisation. This report uses a definition of "youth" of 18-39. 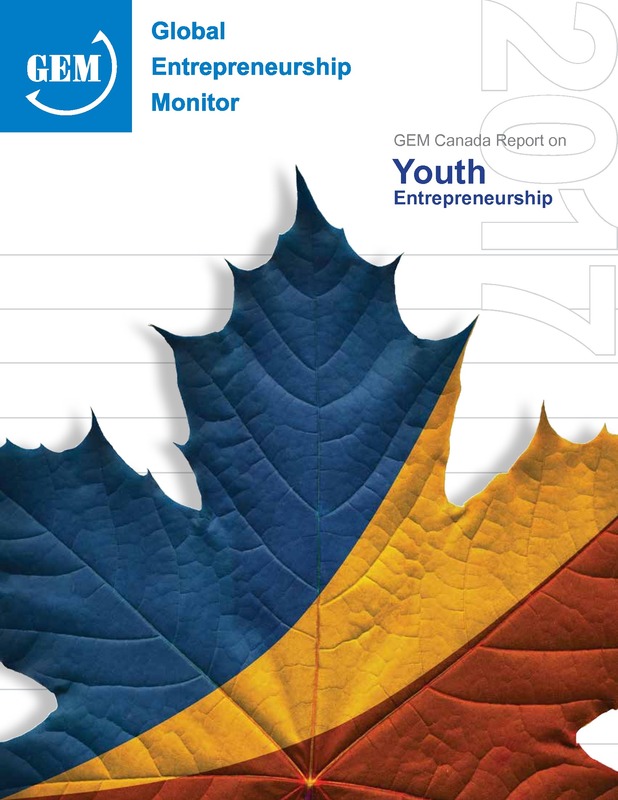 Youth in Canada see entrepreneurship as a good career choice and associate it with high status. TEA for this group is high (at 14% over the last four years) but slightly below the Canadian average for all ages. Personal savings is their primary source of funding. The number of youth angel investors is increasing. Canada continues to show very high rates of early stage entrepreneurship (TEA), Canadians have a positive attitude towards entrepreneurship as a career. This year more Canadians say they have the knowledge, skills and experience to start a business. However we see the effects of the recession in Canada as increased levels of fear of failure. 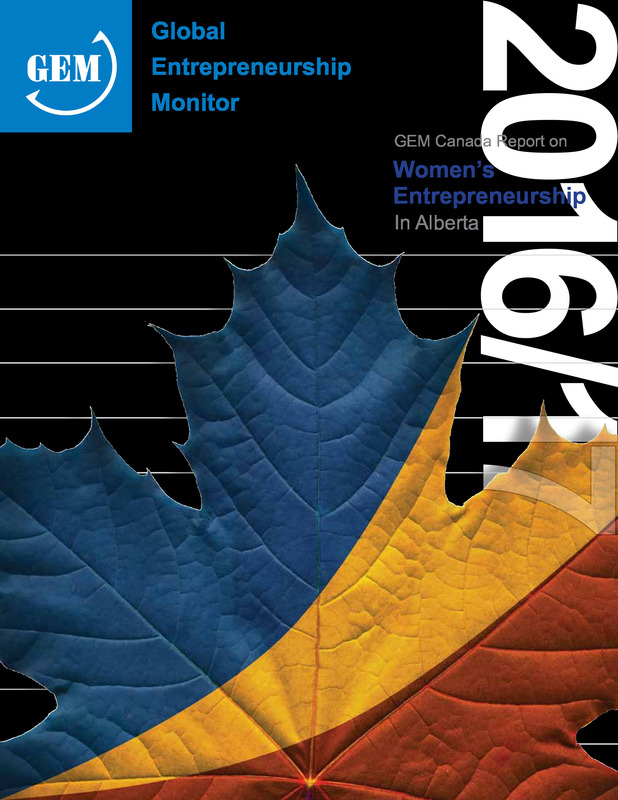 Alberta continues to exceed TEA rates in comparison to all other innovation-driven economies within the GEM framework with its rate of 19.6%. However the province’s Established Business levels are slightly lower than other jurisdictions like the United States and Australia. The TEA necessity rate is higher than other jurisdictions within Canada, which is likely the effect of the deeper recession in Alberta. In recent years, Canada has become increasingly recognized as a leader in women’s entrepreneurship. Alberta has played a central role in this phenomenon, with female activity rates well above the national average. The goal of the GEM Canada Report on Women’s Entrepreneurship in Alberta is to delve more deeply into this issue, and offer an up-to-date picture of women-led business in the province. The report uses additional questions targeted at women's motivation, current satisfaction and how they measure success.